We have finalized our themes for 2019. We are so excited about the possibilities these words represent, and can’t wait to see how you make them your own. We are including the guidelines here. Please pay special attention to image size, requested tweets, and header photo. It saves us so much time. We do not accept queries, please send completed pieces. Posts are due the month before publication. You are welcome to inquire about the deadline, some months we are able to take late submissions. 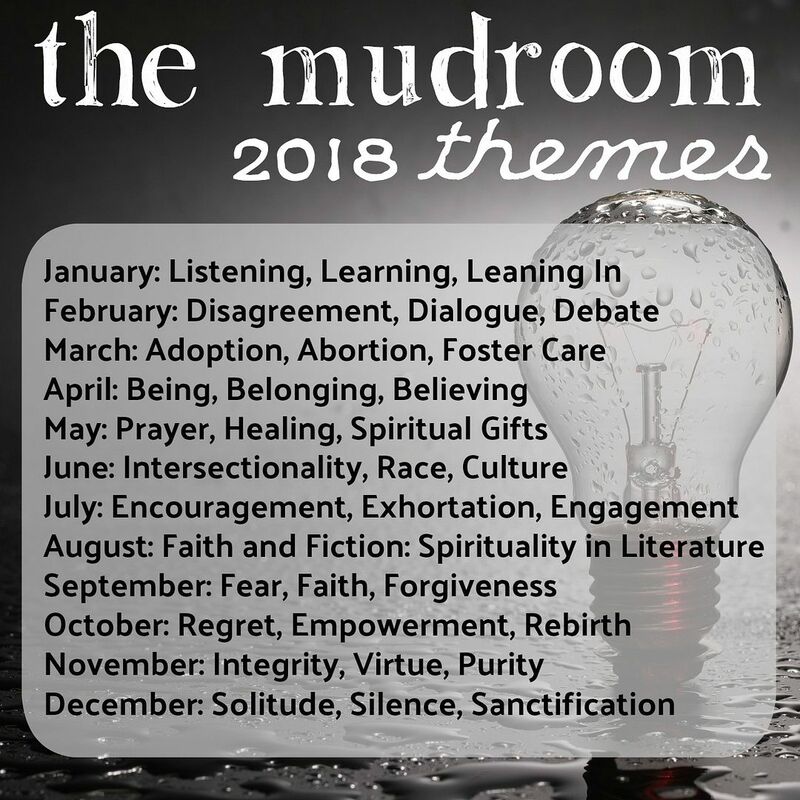 Please send submissions to mudroomblog (at) gmail.com. Double check and make sure the address is not just “mudroom.” That goes someplace else entirely! Got a theme idea? Fill out the form and send it to us!